Take Hwy 12 to Cambridge, WI, Head South on Hwy B. Park entrance (Shelter #1) is on right. We had a fantastic turnout and such a wonderful time with over 30 people attending the annual picnic this year! Thank you everyone for your contributions, fellowship, and for bringing your family and friends! Such a fantastic event! 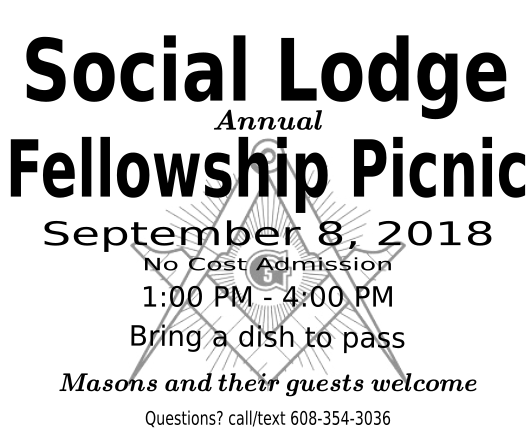 Already looking forward to the Annual Fellowship Picnic 2019!